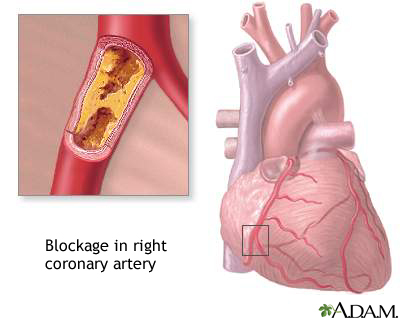 The goal of treatment is to reduce the risk of atherosclerotic heart disease . People who get only one copy of the defective gene from their parents may do well with diet changes and statin drugs. The first step is to change what you eat . Most of the time, the provider will recommend that you try this for several months before prescribing medicines. Diet changes include lowering the amount of fat you eat so that it is less than 30% of your total calories. If you are overweight, losing weight is very helpful. Genest J, Libby P. Lipoprotein disorders and cardiovascular disease. In: Bonow RO, Mann DL, Zipes DP, Libby P, eds. Braunwald's Heart Disease: A Textbook of Cardiovascular Medicine. 10th ed. Philadelphia, PA: Elsevier Saunders; 2015:chap 45. Robinson JG. What is the role of advanced lipoprotein analysis in practice? J Am Coll Cardiol. 2012;60(25):2607-2615. PMID: 23257303 www.ncbi.nlm.nih.gov/pubmed/23257303 . Semenkovich, CF. Disorders of lipid metabolism. In: Goldman L, Schafer AI, eds. Goldman's Cecil Medicine. 25th ed. Philadelphia, PA: Elsevier Saunders; 2016:chap 206. Xanthomas are lesions on the skin containing cholesterol and fats. They are often associated with inherited disorders of lipid metabolism (inherited problems with the way that fats are broken down and used). Xanthomas are raised, waxy-appearing, frequently yellowish-colored skin lesions, seen here on the knee. These may be associated with an underlying lipid (cholesterol/triglyceride) abnormality.